"What does destiny mean in the course of our lives? What is fixed and what can change? How can we design our own destiny? These are questions that some of the world’s greatest philosophers have asked since time immemorial. In this groundbreaking book, Daaji addresses such questions with simple solutions and practical wisdom. 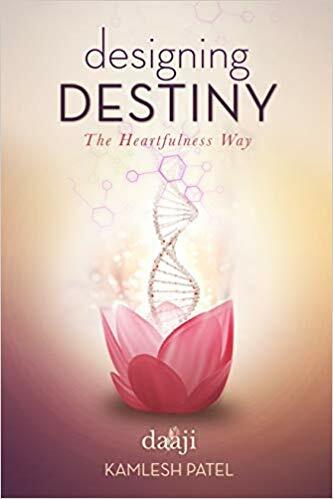 He leads us on to the next stage of the journey after The Heartfulness Way, guiding us on how to use the Heartfulness practices to refine our lifestyle and design our destiny, including our destiny in the afterlife. He elaborates on the subject of consciousness, the role of evolution, and explains what happens to us at the time of birth and death—and how we can act in those pivotal moments when life takes a turn. Daaji inspires us to believe in ourselves and find a way forward, no matter what the challenge, and look at even the most difficult situation as an opportunity to grow. He emphasises that, with a few simple practices, a heart full of enthusiasm and an expanded consciousness, we can all discover our potential and the destiny we were born to fulfil.